Since the takeover of Nokia by HMD global, the company has consistently grown and it is now doing fairly well in the smartphone market. 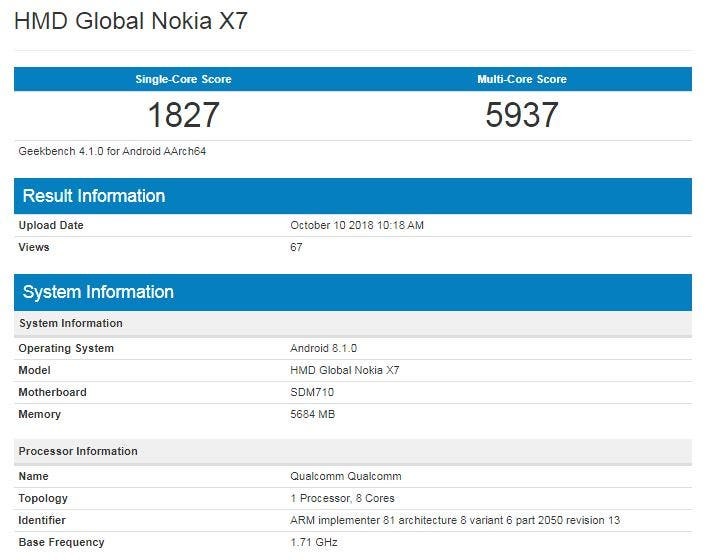 Tomorrow, HMD Global will announce its new Nokia 7.1 Plus also called Nokia X7, Despite the fact that the launch is just a few hours away, this smartphone made a quick stop at Geekbench before its official arrival. 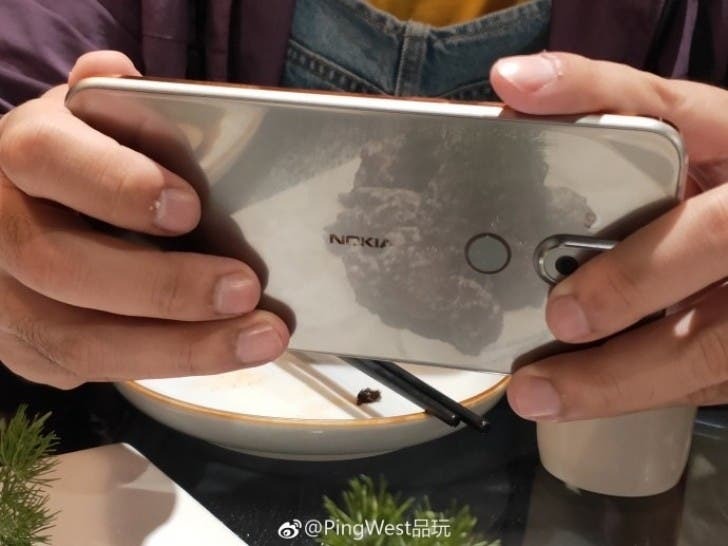 Well, the released documents show that the Nokia 7.1 Plus is equipped with a 6.1-inch 1080 x 2246notch display and it will be powered by the Snapdragon 710 SoC coupled with 6GB of RAM but there may be a lower variant with 4GB RAM. For the internal storage capacity, Nokia stacked is preparing a 64 or 128GB capacity in this one which will run on Android 8.1 Oreo out-of-the-box. However, the Android 9 Pie update for this phone should not be far behind because HMD is gearing up to update some of its older devices to Google’s latest software system. In the camera department, we have a 12 MP + 13 MP Zeiss branded dual rear camera while a 20MP selfie shooter is included to give you a perfect shot. The lights of this smartphone will be kept on by a 3400 mAh battery. Next Razer Phone 2 officially launched!